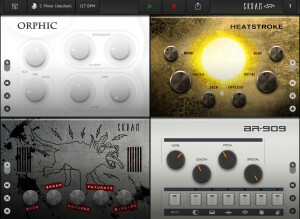 Skram lets you create heavy-hitting electronic music, not just music app doodles. For everyone wanting a fast, inspiring music-maker; both studio pros & first time musicians. Skram is basically three synths and a drum machine with sequencers. It is all self contained much like Korg’s Gadget. 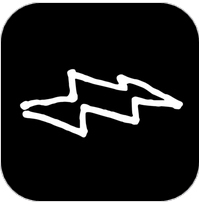 There is no audiobus or IAA support in this current version. Skram is made in Berlin – the world capital of electronic music. 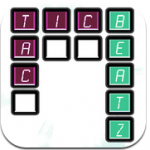 Tic Tac Beatz is a simple sample based drum and synth sequencer app for the iPad. There are no menus. Good for producing Electronic based music like Dance, EDM, etc. You might like this if you’re into pattern based step sequencers. * Freestyle keyboard for real-time transposing of all patterns. * Added guitar stab sounds. Pitch Modulation via LFO (Low Frequency Oscillator) available on three tracks. Pitch modulation from LFO or Envelope effect with LFO trigger function. All setting are saved to the 6 memory locations. 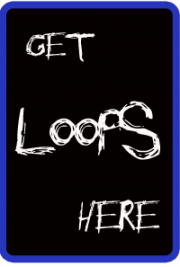 Two tracks loop at different lengths for less repetition. Other functions such as tempo, a write-protect button to avoid accidental pattern saving, track mute, and an auto-un-mute function for jumping into a pattern after a build-up. 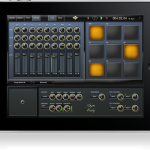 This is a full blown electronic music production studio for iPad. Compare to FL Studio Mobile and NanoStudio. Each synthesizer is a full-featured analog modeling synth with three oscillators, a classic 24 db/oct ladder-style lowpass filter, independent filter and amp envelope generators, and full modulation routings. With our 10+ years of experience with analog simulations you can expect some serious sound easily covering all those fat frequencies so prevalent in modern production. iSyn Poly also includes a sample playback-based drum machine with seventeen kits, each containing eight samples. Drum samples include 808, 909, modular synth drums and numerous 80’s drum machines. Volume, pan and decay time are individually adjustable and pitches are tunable over a wide range for crazy effects. 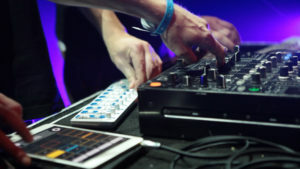 The full fledged sequencer let you arrange complete songs and can record the notes and controller movements of your performance. The unique gesture oriented user interface makes it ideal for live editing of notes and automations. With the Apple iPad Camera Connection Kit you can use a CoreMIDI compatible MIDI Keyboard to control iSyn Poly. iSyn Poly is developed by VirSyn with content from audioMIDI.com. • Three oscillators with sawtooth, pulse, triangle and sine waves. Modulations routings: LFO->pitch, filter ADSR->cutoff, LFO->pulse width. • Classic 24 dB/oct ladder-style lowpass filter with drive parameter. Modulations routings: LFO->Cutoff, Filter ADSR->Cutoff. • Amp section includes distortion with drive, asymmetry and crusher. • Control matrix allows real time control of five parameters using the X/Y touch pad, the modulation wheel and the tilt sensors of the iPad. • Arpeggiator for automated sequences. • 64 factory presets, unlimited user presets can be shared. • Eight simultaneous instruments arranged into eight user-selectable drum kits. • Editor page allows tuning, panning, level and decay time for individual instruments. • iSyn Poly features one global effects unit with phaser, flanger, chorus and stereo/cross delay. 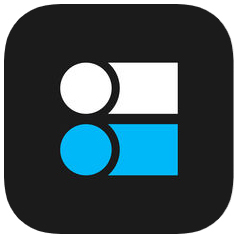 • Play melodies live with onscreen keyboard/drum pads. Drag fingers for slides and vibrato. • Four track sequencer with piano roll and automation editor. • Real time recording with quantize function and metronome. • Arrange your songs with variable length patterns. Move and copy/paste patterns. • Recording and playback of X/Y Pad movements, mod wheel, pitch bend and key velocity. • Full set of editing functions with unlimited undo. • Manage unlimited number of songs. • Render song or patterns to audio and midi files. • Exchange songs and user presets with File Sharing in iTunes.